The campaign launch was held in Bogotá on Wednesday 24th March at the ecological park Entre Nubes, we had the company of Father Alejandro Londoño who opened the event blessing one of the Areca palms donated by Jardineros S.A and the District Department of Environment which were later presented to those attending the event. The launch was attended by students of the Industrial Technical College Francisco José de Caldas who made a presentation of the work done during the lectures given in March, residents of the town of San Cristobal and staff of the District Department of Environment among other guests also attended. 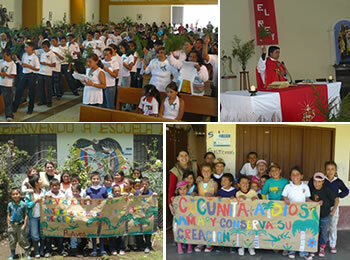 The campaign was conducted nationwide with the participation of municipalities and cities throughout the country; Roncesvalles in Tolima was one of them, during the campaign workshops, lectures in educational institutions were held, posters and radio programs on local radio with the participation of Father Luis Fernando as special guest. The campaign was widely echoed in the town of Roncesvalles and Wax Palms were not used during Palm Sunday. 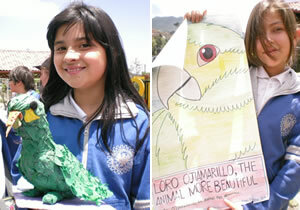 The town community showed its willingness to preserve the symbol of an ecologically fragile ecosystem. Activities and Palm Sunday in Roncesvalles, Tolima. Another municipality that joined the campaign was Jardin in the department of Antioquia, a stand was installed where information was given to the community by passing out flyers and promoting the use of Iraca Palm on Palm Sunday and different activities were carried out such as neighbourhood games, painting in the park, posters, lectures and workshops, we shared in the television show “Friends of Nature” on channel Antena 4 to which Father José Angel Pareja of the Basílica Menor la Inmaculada Concepción de Jardín was invited. Activities & Palm Sunday in Jardín, Antioquia. 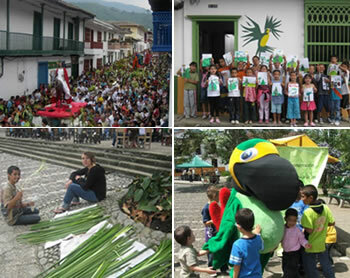 In Genoa, department of Quindio, the campaign was well received in the community and during the Palm Sunday procession no Wax Palm plant was seen demonstrating the change in attitude towards conservation and natural resources. 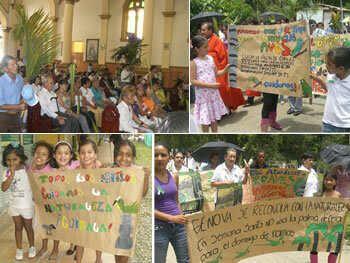 The procession attendees were given pine branches, brooches in the form of the Wax Palm and posters of the campaign. Activities and Palm Sunday in Génova, Quindío.